THE CLASSICAL lines of the late 1600s mansion still show through the years of neglect by commerce and council. It stands out, an elegant delight amid the unpleasant medley of low-end shops and ill-planned offices that make this section of Mare Street as ugly as any in England. Now squatters have taken over the Grade II * listed yet decaying structure at No 195, and have been busy getting it into working order. They invited the public to a meeting to announce their plans. Forty locals heard the occupiers say they wanted the building, which has been derelict for the last decade, used to benefit local people and to stand as a protest against anti-squatting legislation. Loving Dalston offered two of the squatters, a woman who said she had moved from Bristol in Gloucestershire to pursue her interest in African studies and a man with a German accent, the chance to show this website — and, via photography, its readers — the changes they were making inside the house. They declined. Neither would be photographed or named. The house was built in the late 1600s, probably by Abrahm Dolins, a wealthy Dutch migrant. Ownership has changed hands many times, becoming the Elizabeth Fry Institute for the Reformation of Women Prisoners then a workingmen’s club. That closed in 2003 and the property was sold this year. The agent, Currell Commercial, will not name the buyer. The squatters’ stated communitarian wishes do not sit well with a note to the owner posted in a window of 195 Mare Street. It states: “We are very willing to negotiate an arrangement for our mutual benefit…” It then summarises the monetary appeal of their safeguarding of security and upkeep. The meeting got a good reception, but not all neighbours are happy. 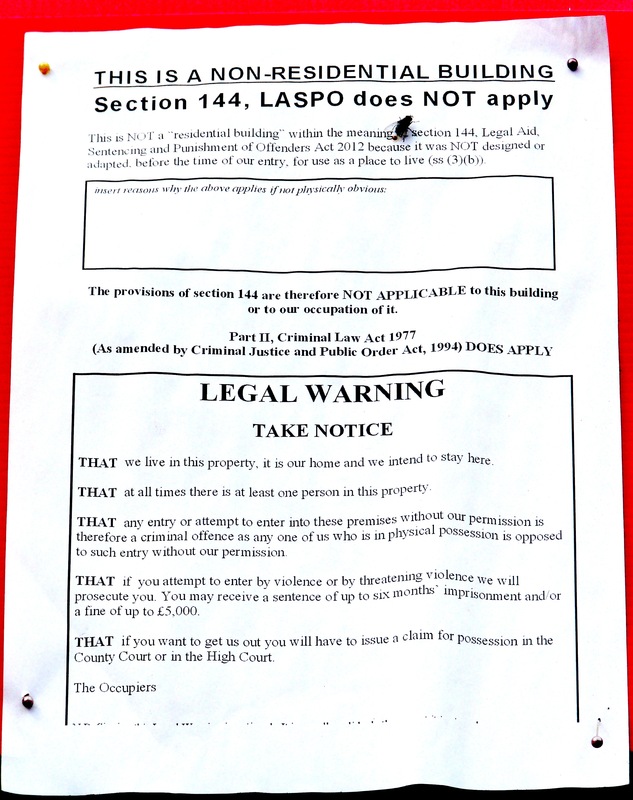 Residential squatting became criminal last September, and 195 Mare Street is classified as commercial premises, a loophole the squatters have used. The Willemine (erected during the reign of William of Orange — it’s not Georgian) building is Hackney’s second-oldest house. Lovers of the area may be hoping that like the Tudor-period Sutton House at 2 Homerton High Street E9 6JQ it becomes adopted by the National Trust or that English Heritage takes some interest. Over the years, both bodies have been slow to show enthusiasm for houses in what they tended to see as “the East End”, with all the puzzling exoticism that term implies. The adventurous Spitalfields Historic Buildings Trust Street, which has been looking over the property during the last few years, would be a better saviour. The house is in the Mare Street Conservation Area and is usually described as of 1697 or 1699 origin, although council conservationists say early 18th-century.